Clara L. Slifkin, Administrative Law Judge (ALJ), Office of Administrative Hearings (OAH), heard this matter on September 18-20, 2012, in Hermosa Beach, California. Eric Menyuk and Bryan Winn, Attorneys at Law, of Newman Aaronson Vanaman, represented Student. Student’s Mother and Father (collectively, Parents) attended the hearing on all days. Christopher Fernandes and Angela Gordon, Attorneys at Law, of Fagen Friedman & Fulfrost, represented Hermosa Beach City School District (District). Patricia Escalante, Superintendent and Director of Special Education (Superintendent Escalante), attended the hearing on all days. On March 20, 2012, Student filed a Request for Due Process Hearing (complaint). On April 20, 2012, for good cause shown, OAH granted the parties’ joint request to continue the due process hearing. The record remained open until closing briefs were filed on October 5, 2012, at which time the matter was submitted. 1 The issues have been slightly re-formulated from the issues as stated in the Prehearing Conference (PHC) Order, for the purpose of clarity. 1. Did District deny Student a free and appropriate public education (FAPE) by failing to find Student eligible for special education services commencing September 2010 through November 3, 2011? 2. Did District deny Student a FAPE by failing to provide Student with an appropriate placement and services from September 2010 through January 12, 2012? failing to offer an appropriate placement to address Student’s unique needs. 1. Student is a 13-year-old boy, who at all relevant times, resided 50 percent of the time with his adoptive Mother within the boundaries of the Redondo Beach Unified School District (Redondo District) and 50 percent of the time with his adoptive Father in the District. 2. From September 2005 through June 2010 Student attended Jefferson School in the Redondo District. In March 2006, psychiatrist John Tremblay diagnosed Student with Attention Deficit Hyperactivity Disorder, Combined Type (ADHD). The diagnosis was confirmed by Valerie Maxwell, Ph.D., who also found that Student had auditory processing problems. 3. Although not initially found eligible for special education, at a June 15, 2007 IEP team meeting, Student was found eligible under the category of other health impairment (OHI). The IEP team offered Student a Resource Specialist Program (RSP) at the Learning Center weekly to address his deficits in writing. Parents consented to the IEP. 4. During the 2007-2008 school year (third grade) and the 2008-2009 school year (fourth grade), Student continued to receive RSP services. At Student’s annual IEP in June 2009, the IEP team offered reduced RSP services, 30-minutes per month on a consultation basis. Parents consented to the IEP. 5. In June 2010, Redondo District school psychologist Leslie Balin (Ms. Balin) and RSP teacher Nancy Walker (Ms. Walker) conducted a triennial assessment to determine whether Student continued to qualify for special education services. Although Ms. Balin and Ms. Walker did not testify at hearing, evidence was presented regarding their reported findings. Ms. Balin conducted the following battery of tests for the assessment: Wechsler Intelligence Scale for Children-IV (WISC-IV); Woodcock-Johnson III Tests of Achievement (WJ-III); Behavior Assessment System for Children, Second Edition (BASC-2); Beery-Buktenica Developmental Test of Visual-Motor Integration (Beery VMI Fifth Edition); and Attention Deficit Disorder Evaluation Scale–Third Edition (ADDES-3). 6. The assessment results, set forth in Ms. Balin’s June 10, 2010 report, demonstrated that Student’s general cognitive ability, as estimated by the WISC-IV, was in the high average range with a Full Scale IQ (FSIQ) of 117. Student’s perceptual reasoning and organization was in the superior range and his verbal comprehension was in the high average range. Student’s general working memory abilities and general processing speed abilities were in the average range. 7. Student demonstrated several relative strengths and several weaknesses on the WISC-IV. Student’s greatest strengths were on the subtests measuring verbal comprehension and perceptual reasoning. Student demonstrated a few relative weaknesses in tasks that required sustained attention. All subtest scores were in the average range and above, however he had the most difficulty with a task measuring his ability to remember and repeat random sequences of increasing length in both forwards and backwards position. Ms. Balin opined that Student’s pattern of strengths and weaknesses on the WISC-IV was very similar to the pattern he demonstrated during the first administration of the test in June 2006. Both verbal and perceptual reasoning composites were almost identical. 8. Ms. Balin concluded Student’s academic skills, as measured by the WJ-III, indicated that Student’s overall reading skills were at the end of sixth grade level and Student’s oral reading fluency score was in the above average age for a sixth grader. Student’s overall math skills were at a mid-seventh grade level and his written language skills were at a mid-eighth grade level. Student scored at the beginning of the 13th grade level in the writing samples subtest. 9. Ms. Balin observed Student in general education teacher Stephanie Hwang’s (Ms. Hwang) class on two occasions. During her first observation, she noted Student needed redirection, and his attention and on-task behavior was intermittent. During her second observation, she noted Student was picking on his skin, failing to follow direction and talking to his peers. Student was generally polite and cooperative during Ms. Balin’s administration of his assessments. 10. Ms. Hwang and Father completed the BASC-2, a multidimensional system used to evaluate behavior and social/emotional development. Ms. Balin’s report stated that the BASC-2 showed that Ms. Hwang scored Student in the clinically significant range in the areas of externalizing problems, hyperactivity, adaptability and social skills behavior; and she scored Student as “at risk” for aggression, conduct problems, depression, behavioral symptoms index, and adaptive skills. Father scored Student as “at risk” in the areas of externalizing problems, hyperactivity, aggression, attention problems, adaptive skills, adaptability, social skills behavior; and activities of daily life. Ms. Hwang and Father reported that Student engaged in many disruptive, impulsive, uncontrolled and aggressive behaviors. Both voiced concerns about Student’s adaptability and social skills. 11. Ms. Hwang and Father also completed the Attention Deficit Disorder Evaluation Scales-Third Edition (ADDES-3) to evaluate Student’s attention. Ms. Hwang rated Student within the low part of the typical range. Ms. Hwang reported, as follows: Student failed to direct his attention to teacher directions and was easily distracted; Student failed to remain on task and required eye contact in order to listen successfully; and Student rushed through assignments with little or no regard for accuracy, quality or neatness. Father placed Student in the typical range. Father reported Student was easily distracted, had difficulty concentrating, was disorganized with possessions, rushed through house tasks, and ignored the consequences of his behavior. 12. Ms. Balin wrote that while Student continued to struggle with inattentive, impulsive, and hyperactive behaviors, he demonstrated the skills and abilities necessary to complete academic tasks at or above grade level in all areas. Student’s performance in class may have been affected by his attitude and motivation rather than by his ADHD. Consequently, Ms. Balin concluded that Student did not meet the eligibility criteria for special education services as a student with OHI, but recommended that Student receive support through a 504 Plan of accommodations to facilitate his ability to succeed in the general education setting. Ms. Balin’s findings were supported by the evidence. She used a wide variety of assessment tools and wrote a comprehensive psychoeducational evaluation report. In addition, she properly conducted Student’s assessment. 13. On June 10, 2010, the Redondo District conducted an IEP team meeting to review the results of Student’s triennial assessments, and to determine if Student continued to qualify for special education services. Present at the meeting were Parents, Ms. Balin, Ms. Walker, and Ms. Hwang. During the meeting, Ms. Balin advised the team that Student’s overall cognitive ability was within the high average range with high average verbal ability and superior nonverbal ability. Auditory processing was within the average range and visual processing skills were within the superior range. Ms. Balin reported that Parent and Ms. Hwang voiced concern about his social/emotional development in the areas of hyperactivity, aggression, adaptability, social skills and attention. Regarding Student’s academic skills, Ms. Walker reported that Student performed above grade level on standardized academic assessments. Ms. Hwang voiced her frustration about Student’s attitude in class and lack of effort. After discussion, the team agreed that Student’s lack of motivation and interest in learning was the greatest factor limiting his academic progress. 14. Ms. Balin advised the team that although Student’s ADHD adversely affected his education particularly in the area of writing, at present Student demonstrated skills and abilities to be able to complete academic tasks at or above grade level. Because Student’s attitude and motivation rather than his ADHD affected his performance in class, Ms. Balin advised the team that Student did not meet the eligibility criteria for special education services as a student with OHI. Ms. Balin recommended Student receive support through a 504 Plan of accommodations. The IEP team agreed that Student was no longer eligible for special education services and Parents consented to the IEP. Parents participated in and agreed to the decision to exit Student from special education in the Redondo District. 15. At hearing, Parents provided credible testimony and confirmed that they consented to the June 10, 2010 IEP that exited Student from special education in the Redondo District. Because Redondo District team members recommended that Student no longer needed special education services, Parents respected these educational experts and followed their advice. Parents explained they were happy and relieved that Student made progress and no longer required special education services. 16. On August 5, 2010, Student enrolled in District’s Hermosa Valley School. Parents agreed Student would benefit from the transfer, because Hermosa Valley had a sixth grade class and Student would remain in elementary school on a small campus. Because Student resided half-time with Father in District, he met the District’s residency requirement. 17. As a part of the enrollment process, Father signed an Affidavit of Residency and Residency Agreement, and a Request for Release of Student Records. Father filed a form entitled Special Program Information Form (Special Program Form), certifying that Student was not currently enrolled in a special program and failing to indicate that Student had been tested for a special program. Father also filed a form entitled Intent to Enroll 2010-2011 School Year (Intent to Enroll Form) and provided District with Student’s birth certificate, an updated immunization record and a report card from Redondo District. The Intent to Enroll Form explained that parent must mark the Special Program Form if your “child participated in any special program” and if student had an IEP to include the most recent copy. Father failed to provide District with a copy of any of Student’s IEPs. Father also failed to disclose to District that when Student attended school in Redondo District he was assessed and found eligible for special education services as a student with OHI due to his ADHD; and in June 2010 was exited from special education. 18. On August 5, 2010, District sent Redondo District by facsimile a Request for Release of Student Records and District received confirmation that the facsimile was successfully sent. By August 25, 2010, Redondo District sent District Student’s cumulative file but failed to send his special education records containing his assessments and IEPs. Without Student’s complete file, District was not on notice that Student had been eligible for special education services as a Student with OHI due to his ADHD from June 2007 until June 2010. 19. Student’s transition to Hermosa Valley was difficult. He struggled academically in most of his classes. Student’s GPA was a 0.833 in the first trimester. He earned: a “D” in Math; a “C+” in Social Studies; an “F” in Language Arts, Computers, and Science; and a “C-“in Physical Education (PE). Second trimester, Student’s GPA improved to a 1.55. He earned: a “D” in Math and PE; a “C” in Social Studies; a “C-” in Language Arts; a “D-” in Science; and a “C” in Music. Student’s final grades for the 2010-2011 school year, continued to improve with a final GPA of 1.8750. He earned: an “F” in Math and Science; a “C-” in Social Studies; a “C-” in Language Arts; a “D-” in Science; a “C” in PE; a “B-” in Tech; and an “A” in Art. 20. Student’s grades improved because District was proactive. In October 2010, to assist Student academically and to help improve his grades, school counselor Christy Cole (Ms. Cole) was to provide Student weekly academic counseling. However, Student was not motivated and he only attended academic counseling on the following dates: October 12, 2010; December, 8, 2010; January 13, 2011; March 17, 2011; April 19, 2011; and May 24, 2011. 21. In November 2010, because Principal Tiffany Rudick (Principal Rudick) was concerned about Student’s failing grades and his behavior, Ms. Rudick met with Parents and Student, Math Teacher Nathaniel Hazard (Mr. Hazard), Social Studies Teacher Jason Coleman (Mr. Coleman), Language Arts Teacher Kimberly Taylor (Ms. Taylor), Science Teacher Robert Hecker (Mr. Hecker), and Physical Education Teacher Mary Delk (Ms. Delk). Students’ teachers voiced their concerns about Student’s disinterest in school, and his failure to prepare and to turn in his homework. Some of Student’s teachers reported that he failed to meet academic standards. However, Mr. Hecker reported Student was doing great on tests and Mr. Coleman complimented Student and reported he was doing well in his class. At the November 2010 meeting initiated by Principal Rudick, Parents asserted that they informed the group that Student had been diagnosed with ADHD. Although the evidence showed that in November 2010 the group discussed Student’s disorganization, disinterest in school and inappropriate behavior, it did not show that Parents informed the group that Student had been diagnosed with ADHD. Both Mr. Coleman and Ms. Taylor testified that Parents failed to discuss Student’s ADHD. Their testimony was persuasive. 22. Student’s teachers proposed Student participate in “Success Seekers” a lunch time program to improve his organization and study skills. Student agreed to try harder. At hearing, Mother expressed her appreciation for the teachers’ suggestion that Student participate in the Success Seekers program to improve his academic performance. Mother enrolled Student in Success Seekers. On February 11, 2011, Mother received an e-mail from Ms. Taylor, indicating that Student would be released from Success Seekers if he continued to fail to participate and work on his homework assignments. Student failed to keep on task and participate and he was discharged from the program after only four sessions. 23. During his first trimester at Hermosa Valley, Student’s report card reflected his poor attitude and behavior. He earned an “N”, needs improvement, in Math, Language Arts, Science, and PE. Second trimester, Student’s behavior improved and he earned an “N” in his electives, Music and PE. Third trimester Student’s behavior continued to improve but he earned an “N” in Math and Social Studies. 24. In October 2010, Student exhibited come minor behavioral problems in PE class. On October 11, 2010, Ms. Delk reported Student talked to others and interrupted her while she was giving the class directions. Ms. Delk warned Student that she would call Parents the next time he disrupted the class. At hearing, no evidence was produced that Ms. Delk called Parents to complain about his behavior. 25. Student had a difficult time in PE all year, specifically, acting “out of control” in lining up and in general game play. When Ms. Delk caught Student in an act of defiance or being out of control she would make him “own up” to his actions. On February 17, 2011, in PE class Student scuffled with two students. Student was accused of punching one student and pushing another. Ms. Delk asked Student to “own up” to his behavior, but Student denied his involvement. 2 Since 1962, Dr. Flynn has been a teacher, a principal, on the faculty of UCLA’s Principal Leaders Institute and a leadership consultant in the country of Georgia. She received her bachelor’s degree at University of California San Diego and her doctorate from University of Southern California. Dr. Flynn was recruited from retirement to serve as the Interim Principal at Hermosa Valley. 3 District used a “Power School Log” to list by date student discipline, behavior issues and academic concerns. 26. On March 31, 2011, Mr. Hecker found objects constructed with erasers and staples embedded in his classroom ceiling; the objects had 3/8” sharp points pointing in every direction. Principal Dr. Rita Flynn (Dr. Flynn) suspended Student for one day because the objects he constructed constituted a sharp object that could possibly cause bodily harm to others. 2 Mother and Dr. Flynn met to discuss Student’s suspension. 27. Mother testified that during their meeting she informed Dr. Flynn that Student was bored, because of his ADHD. According to Mother, Dr. Flynn responded that she would refer Student for school counseling and suggested that Mother seek private counseling for Student. However, Mother’s assertion that she informed Dr. Flynn that Student had ADHD was not persuasive. Dr. Flynn provided persuasive testimony that although the information might be helpful she would not mix up a medical diagnosis with discipline. In addition, Dr. Flynn persuasively testified that if Mother mentioned that Student had ADHD, it was her practice to ask for a doctor’s letter to verify the diagnosis. 29. During the 2010-2011 school year, Student’s disciplinary record showed only one incident where he was suspended for one day. 30. At hearing, Social Studies Teacher Mr. Coleman, opined that Student’s behavior in PE class was typical middle school behavior and would not warrant a referral for assessments for special education. After he was asked to review all notations in Student’s Power School Log, 3 Mr. Coleman concluded that Student’s behavior was not sufficient to warrant an evaluation for special education. At hearing, after reviewing the notations, Language Arts Teacher Ms. Taylor agreed that Student’s behavior was not sufficient to warrant an evaluation for special education services in sixth grade. 31. Student returned to District for the 2011-2012 school year. On September 13, 2011, Ms. Cole met with Student to offer a few weeks of continued academic counseling focused on helping him with organization and to improve his study skills. On September 20, 2011, Ms. Cole met with Student for academic counseling. During her meeting with Student, she observed his demeanor was different. He was withdrawn, and appeared angry and depressed. By September 27, 2011, Ms. Cole called Parents to discuss Student’s behavior and received consent to provide Student with individual counseling. Both Parents were concerned about Student’s grades. Mother voiced her concern about Student’s emotional well-being. On October 6, 2011, Ms. Cole held an individual counseling meeting with Student. After her meeting with Student, she too was concerned about Student’s emotional well-being. 32. At hearing Mr. Coleman opined that the 2011-2012 school year would be a difficult year for Student if interventions were not in place. In early September, Mr. Coleman observed Student was withdrawn: he wore a hood in class, shrugged his shoulders, and rolled his eyes. Mr. Coleman explained that he was concerned because Student would not socialize with other students. 33. In late September and early October 2011, Student was scheduled to serve several detentions. No evidence was presented regarding the reason for Student’s initial detention. When Student lied about being kept over by a teacher, he was issued another detention. Student failed to show up for his assigned detention on October 4, 2012 and because Student failed to appear, he was assigned detention for October 6, 2011 and October 10, 2011. On October 6, 2011 Student was late again and failed to show up twice to other assigned detentions. Student was issued another detention order. 34. On October 11, 2011, Acting Principal Butcher suspended Student for five days because Student carried an air-soft pistol and plastic BBs on campus. The weapon was loaded with plastic BBs. Because the orange safety seal was missing, the pistol looked like an eight inch authentic firearm. Student consented to Betsy Dear searching his back pack, where she found a screw driver, an empty pack of cigarettes, nail polish remover, a spool of thread and BBs for the air-soft pistol. Student was given a Student Suspension Notice, notifying him that he was suspended for five days commencing October 12, 2011. 35. On October 12, 2011, Parents and Student met with Ms. Cole to discuss her concerns about Student’s emotional state. Parents confirmed Student was seeing a private therapist. Parents confided that Student was diagnosed with ADHD and at one time had been on medication. Ms. Cole recommended that Student get back into counseling, and provided Parents information about community resources. This was the first time Parents discussed Student’s ADHD with District staff. 4 Currently, Patricia Escalante is the Superintendent and Director of Special Education. During the 2010-2011 and 2011-2012 school years, she was the Principal of Hermosa Valley School. 36. On October 16, 2011, Student sent a letter to Superintendent Bruce Newlin (Superintendent Newlin) and Principal Patricia Escalante 4 to apologize for his behavior and to reassure them that he would take steps to improve his behavior. On October 19, 2011, Father met with Superintendent Newlin and Principal Escalante to inform them that Student suffered from ADHD and had an IEP when he attended school in the Redondo District. Superintendent Newlin informed Father that if Student’s conduct was due to his ADHD, the Board would consider that as mitigation at Student’s expulsion hearing. 37. On October 19, 2011, District notified Parents of its decision to recommend to the superintendent the expulsion of Student from District. 38. On October 27, 2011, Mother sent District a letter from Student’s Psychiatrist Dr. Elizabeth Cowart (Dr. Cowart) and a letter from Neuropsychologist Gary J. Schummer, Ph.D. (Dr. Schummer) confirming Student’s ADHD diagnosis. Dr. Cowart wrote she treated Student from June 2008 through January 2010 for ADHD and because none of the medications prescribed provided substantial improvement, Parents decided to discontinue Student’s medication. In Dr. Cowart’s recent examination, she found Student continued to meet criteria for ADHD with symptoms including inattention, lack of follow through, poor organizational skills and impulsivity. She recommended a medication trial to target symptoms. 39. Dr. Schummer’s letter stated that on February 15, 2011, he began to evaluate Student for impairments related to attention and cognition. On March 18, 2011, he performed a neuroimaging assessment and confirmed Student met the diagnostic criteria for ADHD. Dr. Schummer recommended District re-evaluate Student for an IEP based on Student’s poor academic performance as well as his ADHD. He asked Superintendent Newlin to take into consideration Student’s disability during Student’s expulsion hearing. 40. In a November 3, 2011 letter, Parents requested District evaluate Student to determine if Student’s actions on October 11, 2011, related to the air-soft pistol were a direct result of his ADHD. They asserted that District failed under its child find obligation to search out and assess Student; and it failed to review Student’s school records demonstrating that Student had been eligible for special education services under the category of OHI until June 2010 when he was exited. 41. On November 3, 2011, District responded quickly and sent Parents an assessment plan. On November 8, 2011, Parents signed the plan and returned it to District. 42. On November 9, 2011, Parents requested a 30-day extension on the expulsion hearing to give them an opportunity to hire an attorney and prepare. On November 16, 2011, District wrote to Carol Behrens, Student’s advocate, stating it determined that Student’s suspension was to be extended through the date of the expulsion hearing. This decision was based on the determination that Student’s presence at a District school or alternative school placement would cause a danger to persons or property and a threat of disrupting the instructional process. Thus, District refused to offer Student placement in any school setting. 43. During the months of October, November and December, Student’s education consisted of assignments Parents picked up from school for Student to complete. At hearing, Parents credibly expressed their concern about Student’s education because District failed to provide direct instruction and Student was to continue on home study until his December 14, 2011 expulsion hearing. Because Parents worked, Student was at home with no supervision. Parents confirmed, and there was no evidence to the contrary, that Student made little progress on his assignments. 44. On December 14, 2011, District’s Board of Trustees (the Board) held an expulsion hearing to determine if Student should be expelled from school. On December 16, 2011, the Board issued a decision ordering Student’s expulsion from the District until March 16, 2011, the remainder of the trimester. Student was referred to the Opportunities for Learning Charter, a Community Day School, (Opportunities for Learning) to receive his educational program for the duration of the expulsion. The Board ordered Student to complete a rehabilitation plan prior to his readmission. The plan required that Student: 1) improve his academic performance (maintain a grade point average of 2.5); 2) continue with his current counseling; 3) submit progress reports on the 15th of each month; and 4) enroll and attend the alternative educational placement ordered by the Board. 45. Father visited Opportunities for Learning. At hearing, he described the classroom as one room with a bunch of tables. The educational program was independent study, where Student was required to attend school for only two hours a week to turn in assignments and take tests. Father opined that the Opportunities for Learning program was inappropriate because its structure was similar to Student’s home study program, where Student failed to make progress. Father credibly testified that Student required a full day of direct education, in a classroom with a teacher. Father feared if Student attended Opportunities for Learning, he would lose a whole year of education. Father’s concerns were supported by the evidence. 46. Because Parents were concerned about District’s placement offer, they visited nonpublic schools (NPSs) to find an appropriate program for Student. They visited the Renaissance School, Fusion, and Westview School. Parents were impressed with Westview’s program because it focused on students with ADHD. Parents enrolled Student and planned to ask District for reimbursement. 47. By letter dated December 16, 2011, Parents informed District of their intent to privately place Student at the Westview School on or after January 3, 2012. Although Parents acknowledged that Student was currently undergoing assessments by District to determine his eligibility for special education and related services, they indicated that placement at Westview was necessary because District failed to provide the support and services Student needed. Parents also stated that they would seek reimbursement for his placement. 48. On December 22, 2011, District denied Student’s request for reimbursement. District wrote although Student was a general education student, it was providing prior written notice regarding his unilateral private school placement. District asserted Parents failed to inform it that Student was in special education at Redondo District or that Student required special education services. District was in the process of assessing Student and had scheduled an IEP for Student on January 13, 2012. If the team determined Student was eligible for special education, it would develop an IEP for him that would include placement and related services deemed necessary to provide Student with a FAPE. District also based its denial on Student’s education record and school performance. 49. From November 15, 2011 through December 2, 2011, School Psychologist Denise Vellutini-Stern (Ms. Vellutini-Stern), Resource Specialist Julie Taylor (Ms. Taylor), and Speech and Language Pathologist Andrea Horowitz (Ms. Horowitz) conducted an assessment of Student to determine whether Student was eligible for special education and related services. Ms. Vellutini-Stern prepared a psychoeducational report dated January 8, 2012, containing the results of the assessments and her recommendations for Student’s educational program. T he parties stipulated that the assessments performed by Ms. Vellutini-Stern on November 15, 2011, December 1, 2011 and December 2, 2011 , by Ms. Horowitz on December 5, 2011 and December 7, 2011 , by Ms. Taylor on December 15, 2011 and the recommendations in the psychoeducational report , were appropriate. 50. Ms. Horowitz, who assessed Student’s speech and language on December 5, 2011 and December 7, 2011, provided testimony at hearing. Ms. Horowitz is a speech and language pathologist, employed by the Los Angeles County Office and Education. Ms. Horowitz’s speech and language assessment of Student was comprehensive. She based her results on a review of records, observations, discussions with Parents and her administration of a variety of assessment instruments. When Ms. Horowitz observed Student during the administration of the assessments, she found Student friendly, attentive, cooperative, and respectful. Student readily participated in conversation, listened attentively; followed directions used appropriate eye contact, remained on topic, responded accurately to questions and remained focused on all tasks without prompting. On both formal and informal tasks, Student inconsistently formulated concise, meaningful sentences containing age-appropriate vocabulary. 51. Ms. Horowitz selected assessment tools that would measure Student’s oral language knowledge, articulation, and pragmatics. She administered the Test of Auditory Processing Skills (TAPS) to assess Student’s auditory skills, use and understanding of language commonly utilized in academic and everyday activities. Student scored in the average range on the TAPS demonstrating Student had no deficit in this area. 52. Ms. Horowitz administered the Clinical Evaluation of Language Fundamentals-4th Edition (CELF-4) to assess Student’s language ability. If a language disorder was identified further tests would be administered to determine the nature of the disorder and language strengths and weaknesses. She also administered the CELF-4 Observational Rating Scale and Pragmatics Profile. Student scored in the average range on all subtests except he scored in the low average range, 16th percentile, on the Formulated Sentences subtest. The Formulated Sentences subtest assesses a student’s ability to formulate compound and complex sentences. Student exhibited difficulty forming concise and meaningful sentences and failed to use contextual clues. Student also omitted significant details, failed to include age appropriate vocabulary words, and told an incomplete story. The CELF observational Rating Scale was completed by teachers Mr. Coleman and Carole Poertner and his Parents. Three out of four raters reported that Student had difficulties in: paying attention; asking for help when needed; interpreting facial expression, gestures and body language; reading social situations; and interacting appropriately with others. Thus, Ms. Horowitz concluded pragmatic language was an area of need. 54. Based on standardized tests and her observations of Student, Ms. Horowitz concluded that Student failed to meet the eligibility for special education services under the category of speech and language impairment (SLI). However, she found that Student would benefit from speech and language services to address his deficits in pragmatic language that may impact his ability to access his education. Horowitz recommended that the IEP team discuss Student’s assessments and her recommendations to help determine appropriate services. Ms. Horowitz’s findings and recommendations were supported by the evidence. 55. Ms. Vellutini-Stern reviewed Student’s records including his previous assessments and interviewed Parents in order to develop Student’s health and developmental history and reviewed Student’s academic progress. Ms. Vellutini-Stern also reviewed Student’s grades for the 2010-2011 school year and current grades. She found that Student’s final grades for the 2010-2011 school year warranted continued academic counseling because he continued to be at risk for having failing grades. Student failed Mathematics and Science. His current grades were impacted by his failure to complete his work. Student’s California Standards Tests in English Language Arts and Math declined from Advanced in 2009 to Basic in 2011. 56. Ms. Vellutini-Stern completed her written report on January 8, 2012. Ms. Vellutini-Stern conducted the following battery of tests: Wechsler Intelligence Scale for Children-IV (WISC-IV); Beery-Buktenica Developmental Test of Visual – Motor Integration (VMI); Wide Range Assessment of Memory and Learning-2 (WRAML-2); NEPSY-II; Conner’s Rating Scale-Third Edition: Parent and Teacher Long Version; Behavior Assessment System for Children; Second Edition (BASC2); Woodcock-Johnson III Tests of Achievement (WJ-III); and Review of School Records. 57. The assessment results, set forth in Ms. Vellutini-Stern’s January 8, 2012 report, demonstrated that Student’s general cognitive ability, as estimated by the WISC-IV, was in the high average range with a Full Scale IQ (FSIQ) of 119. Regarding Student’s cognitive ability, her findings were consistent with Ms. Balin’s 2010 findings. Student’s perceptual reasoning and organization was in the very superior range and his verbal comprehension was in the high average range. Student’s general working memory was in the average range, and his general processing speed was in the average range. His general ability index was in the superior range. Ms. Vellutini-Stern found Student was functioning within the superior range of cognition on his standardized measure of intellectual ability. Student demonstrated strengths in visual analysis and synthesis and visual reasoning and weaknesses in the areas of auditory short-term memory, visual short-term memory and visual motor integration. Ms. Vellutini-Stern performed further assessments in Student’s areas of weakness and an in-depth assessment in the areas of attention, impulsivity, and social/emotional status. 58.Ms. Vellutini-Stern administered the visual-motor integration battery of the VMI. Because Student performed in the average range, she found no areas of concern in visual-motor processing skills. Ms. Vellutini-Stern administered the WRAML-2 to measure Student’s visual memory and learning, and his auditory memory and learning. Student performed in the average to superior range on all subtests. 59. Ms. Vellutini-Stern administered the NEPSY-II to assess Student’s neuropsychological development in the areas of Attention and Executive Functioning. Student performed in the expected to above expected level on all tasks with the exception of two subtests: Response Set Total Correct and Inhibition Inhibition Combined. Ms. Vellutini-Stern opined that Student’s low scores indicated Student had some difficulty sustaining attention during auditory tasks that were of little interest to him and he had difficulty inhibiting automatic responses and made careless mistakes. 60. Ms. Vellutini-Stern administered the Conner’s Rating Scale-Third Edition, designed to characterize behaviors of a student and compare them to a normative sample. Parents and three of Student’s teachers completed the behavior inventory. Ms. Vellutini-Stern found that all of the respondents’ ratings were valid and the consistency of the ratings suggested that Student’s behaviors are highly problematic across all environments. As rated by Parents, Student received his most significant score in the area of aggression, contributing to an extremely elevated conduct disorder index score. As rated by Student’s teachers, Student received elevated or very elevated scores in the areas of executive functioning and aggression. In addition, two of Student’s three teachers identified him as elevated or very elevated in the area of inattention. Student’s teachers also scored him as elevated to very elevated in the areas of the DSM-IV Conduct and Oppositional Defiant Disorders. 61. Student, Parents, and three of Student’s teachers completed the BASC2, a multidimensional system used to evaluate behavior and social/emotional development. Ms. Vellutini-Stern’s report stated that the BASC-2 showed that Student scored himself in the “clinically significant” range in somatization and in the “at risk” range in relations with Parents. Parents scored Student in the “clinically significant” range in the areas of externalizing problems, and conduct problems; Mother scored Student in the “clinically significant” range in hyperactivity, aggression, atypicality, behavioral symptoms index, and activities of daily life. Parents scored Student as “at risk” for attention problems; Mother scored Student “at risk” for social skills and adaptive skills composite; and Father scored Student “at risk” in the areas of hyperactivity, aggression, behavioral symptoms index, adaptive skills, and activities of daily life. 62. Regarding Parents’ “clinically significant” score in the externalizing problems composite, Ms. Vellutini-Stern found that this composite was characterized by disruptive behavior problems such as aggression, hyperactivity and delinquency. She opined such students come to the attention of teachers because they disrupt activities and are unresponsive to adult direction. 63. Student’s teachers Ms. Poertner, Mr. Coleman and Ms. Gonzalez completed the BASC-2. Ms. Vellutini-Stern’s report stated that the BASC-2 showed that Mr. Coleman and Ms. Gonzalez scored Student in the “clinically significant” range in conduct problems; and Mr. Coleman scored Student in “clinically significant” range in attention and withdrawal. All three teachers scored Student in the “at risk” range in externalizing problems composite consisting of the clinical scales of hyperactivity, aggression, and conduct problems. Ms. Vellutini-Stern wrote that the conduct problem scale measures socially deviant and disruptive behaviors that are characteristic of the DSM-IV category of conduct disorder. All teachers scored Student in the “at risk” range in the areas in school problems index composite consisting of attention and learning problems. Ms. Vellutini-Stern found that this composite signified that teacher perceived Student behaviors were very likely to interfere with academic achievement. 64. Ms. Vellutini-Stern concluded that based on the results of the BASC-2, the Conner’s Rating Scale, the Behavior survey, review of records, as well as anecdotal input from Parents and teachers, Student displayed behaviors pervasive across environments that were maladaptive in nature and often were in violation of rules and/or the rights of others. Inattention was also identified across environments and Student demonstrated borderline scores on the NEPSY-II in attention/executive functioning subtests that measure inhibitory and sustained attention components. 65. Ms. Taylor administered the WJ-III, a test that measured Student’s ability in academic areas math, reading and written language. Student performed at or above the instructional range for his grade when compared to other seventh graders. 66. Ms. Vellutini-Stern used a wide variety of assessment tools and wrote a comprehensive psychoeducational evaluation report. She found that Student had a diagnosis of ADHD and demonstrated inattentive behaviors in the home and school environment but less so in a one-to-one environment. Behaviors described by rating form respondents as well as anecdotal information provided by Parents and teachers suggested that Student’s ADHD behaviors may have had a negative impact on his academic progress. Consequently, Ms. Vellutini-Stern found that Student met eligibility for special education services under the classification of OHI. She recommended that the IEP team discuss this eligibility and whether the level of need warranted special education services. Ms. Vellutini-Stern’s recommendation was supported by the evidence. 67. Ms. Vellutini-Stern recommended a variety of interventions, accommodations, modifications and services to help Student access his education. Her recommendations were as follows: 1) present information both visually and verbally; 2) complete hands-on projects as an alternative way to demonstrate mastery of curricular standards; 3) test Student for concept mastery using recognition memory when possible; 4) encourage to edit/check his work/tests prior to handing in assignments; 5) reinforce expectations across environments; 6) continue school based counseling; and 7) collaborate school based counseling with community based mental health providers to provide consistency across settings and providers. She opined that prior to 2008, Dr. Cowart diagnosed Student with ADHD and if Student had it in 2009, he continued to have it in 2011. Student’s ADHD was treatable and behavioral strategies could have helped Student with his academics and behavior. Because of Ms. Vellutini-Stern’s education, experience, and her thorough evaluation, her recommendations were persuasive. 68. On January 13, 2012, the District conducted an IEP team meeting to review the results of Student’s psychoeducational assessment, and to determine whether Student qualified for special education services. Present at the meeting were Parents, Director of Special Education Jennifer Camacho (Ms. Camacho), Ms. Vellutini-Stern, Ms. Taylor, Mr. Coleman, Ms. Horowitz, Advocate Bobbie Westil (Ms. Westil) and District’s Attorney Christopher Fernandes (Mr. Fernandes). During the meeting, Ms. Vellutini-Stern presented Student’s psychoeducational assessment. She advised the team that Student’s cognitive ability was in the superior range with significantly greater nonverbal than verbal abilities. His visual processing skills were within the average range and his verbal and visual memory abilities were in the average to superior range. 69. Ms. Vellutini-Stern reported that Student’s borderline scores on the NEPSY-II subtests in Response Set Total Correct and Inhibition Combined demonstrated Student’s difficulty in inhibiting automatic responses and in sustaining attention to auditory tasks. Based on the BASC-2, the Conners-3 rating scales as well as Parent and teacher input, Student’s inattentive behavior was in the extremely elevated range across home and school environments. In an individual setting Student was able to sustain his attention but with additional distractions in a classroom sustained attention was an observable challenge. Ms. Vellutini-Stern explained Student displayed behaviors that were pervasive, maladaptive in nature, and often in violation of the rules and/or rights of others. 70. Student’s art teacher shared that Student demonstrated a lot of coping behavior such as putting his head down. Other students refused to work with him because he did not do his part. Student’s math and language arts teachers reported that while Student appeared to be checked out, he was still able to answer questions. Parent reported that Student had difficulty with following multiple steps. 71. Ms. Horowitz presented her speech and language assessment. She advised the team that Student’s articulation, voice and fluency, expressive and receptive language skills were within normal limits for his age and gender. Although Student displayed appropriate conversational skills, pragmatics was an area of need. Student demonstrated difficulties in paying attention, asking for help when needed, interpreting and understanding facial expressions, gesture and body language, reading social situations accurately, and interacting appropriately with others. Ms. Horowitz recommended speech and language services to address pragmatic skills and to improve his ability to interact socially with others. 72. Ms. Taylor presented Student’s academic assessment results. She shared that Student was a delight to work with and he completed the academic assessment in only 90-minutes. When compared to other students of his age, Student’s academic skills and his ability to apply those skills were both in the average range. Student’s performance in broad reading, mathematics and math calculations was in the high average range. 73. The IEP team discussed Student’s poor academic performance and the decline in Student’s STAR scores. Parents shared that Student’s move to a multiclassroom middle school environment had a negative effect on Student. The team discussed that Student may have been effected because he was exited from special education and moved to a new district. Ms. Westil reported since Student arrived at District in September 2010, he struggled with his academic subjects. 74. Parent reported to the IEP team that at a November 2010 parent teacher conference she informed Student’s teachers and the principal that Student was diagnosed with ADHD. At that time District referred Student to “Success Seekers,” a lunchtime group for academic help. Parent shared that Student was asked to leave the lunchtime group because he failed to attend some meetings and was not engaged in the program. Parent believed “Success Seekers” was similar to an independent study and Student would not benefit from that type of program. 75. Based on standardized tests, Parents, teachers, and Student input as well as input from Dr. Cowart, Psychotherapist Jon Kramer, a review of Student’s records and observations, the IEP team found that Student met the criteria for special education services under the eligibility of OHI. Student’s ADHD behaviors had a negative impact on his academic progress. Although the IEP team agreed that Student failed to meet the eligibility for special education services under the category of SLI, he demonstrated deficits in the area of pragmatic language. The team agreed that Student required speech and language services. Ms. Vellutini-Stern proposed a Functional Behavior Assessment if Student’s behaviors failed to respond to the behavioral goals and accommodations. 76. The IEP team proposed seven goals in the following areas: 1) two goals to address pragmatic language; 2) a behavior goal to address locus of control; 3) a behavior goal to address aggressive behaviors; 4) a goal to address work completion; 5) a goal to address time management; and 6) a goal to address class preparation. The team approved these goals and requested that Ms. Taylor draft an additional goal to address organizational skills and managing school materials. These goals addressed Student’s needs and were adopted by the IEP team. 77. At hearing, Ms. Vellutini-Stern described the focus of Student’s behavior goals and how it was necessary for the goals to be implemented in a typical classroom environment. The first goal focused on Student taking responsibility for his behavior. To help Student meet this behavior goal by January 2013, she proposed two individual counseling sessions a week to work on different hypothetical situations. Student’s second behavior goal addressed his aggressive behavior and proposed that by January 2013 Student would respond to teacher directive. To help Student meet this goal, Student’s counselor would observe him in class to collect data from her classroom observations. Ms. Vellutini-Stern opined that Student’s goals should be implemented in a classroom and could not be implemented at a program such as Opportunities for Learning because Student was only required to attend two hours a week, and there was no special education teacher to implement Student’s goals. 78. The IEP team discussed services and agreed that the least restrictive placement was in a general education classroom with language and speech services, counseling, RSP and accommodations. Regarding accommodations and modifications the team agreed to provide Student: a daily communication log/reminder binder; preferential seating; cues and prompts to stay on task; presentation of one task at a time; and use the RSP room as a flexible setting. The IEP team agreed to the following services: group specialized academic instruction 264-minutes per week; group language and speech therapy 30-minutes per week; and individual counseling 30-minutes twice per week. 79. The IEP team discussed Student’s placement and disagreed about what placement would be appropriate while Student was expelled. Parents requested that District offer to fund Student’s current placement at Westview because Student started the program on January 3, 2012 and was doing well. Student complained that District’s proposal involved too many transitions. As proposed by District, Student would move from Westview to Opportunities for Learning and then in March at the end of the expulsion period he would move back to a District school. At the meeting, District asserted that it continued to offer Student Opportunities for Learning, and that placement options would be reviewed and proposed by District before January 24, 2012, the end of the 60-day period. The January 13, 2012 IEP offer did not contain any offer of placement during expulsion, but District wrote that it would propose a placement before January 24, 2012. Because District failed to make a concrete written offer of placement during expulsion, the IEP team was not able to discuss how and where Student’s goals, accommodations, and services were to be implemented during the period of Student’s expulsion. 80. At hearing, Parents explained their opinion that District’s offer of placement at Opportunities for Learning was not appropriate. Student required more than two hours of direct teaching a week as demonstrated by his failure to make educational progress while he was on home study October 11, 2011 through December 14, 2011. Parents also believed Opportunities for Learning was inappropriate because Student would not be taught by a special education teacher, necessary to monitor progress towards meeting his goals and to review his accommodations. 81. Ms. Camacho, District Director of Special Education, testified at the hearing. She earned a bachelor of arts in liberal studies at Long Beach State and a master’s degree in English from Alliant University. She holds an administrative credential and a multiple subject teaching credential. As the Director of Special Education her duties included acting as the administrator at IEPs and identifying and serving individuals with exceptional needs. At hearing, she opined while Opportunities for Learning was an appropriate placement for a general education expelled student, it was inappropriate for a special education student. 82. District did not propose an alternative placement to Parents in writing before January 24, 2012, the end of the 60-day period. 83. On February 6, 2012, District received a letter from Parents. Parents wrote that because no signature page was provided to the January 13, 2012 IEP, this letter addressed their disagreement, comments and concerns regarding the IEP. Parents requested that District offer a placement where Student’s IEP could be implemented while Student was expelled to provide Student a FAPE. Parents agreed with the IEP team’s offer and time and frequency of DIS services in specialized academic instruction, group speech and language, and counseling. Parents expressed that District’s offered placement, Opportunities for Learning, was inappropriate. 84. On February 6, 2012, District responded to Parents’ letter, and addressed the issue of Student’s placement during his expulsion. District continued to offer Opportunities for Learning, and in addition it offered to refer Student to Beach Cities Learning Center (Beach Cities) an NPS, as an alternative placement during his expulsion. District provided Student Beach Cities’ location, identified the program director and his contact information. Although Parents failed to respond in writing to District’s letter, they followed up on District’s placement offer. 85. At hearing, Father testified that he toured Beach Cities, he liked the program and observed other Student’s with ADHD. However, when Father met with Director Dan Campbell (Mr. Campbell) he was informed that the program was full and Mr. Campbell did not have a placement for Student. Father’s testimony was persuasive. Because Parents had confirmed Beach Cities was full, Mother did not call Mr. Campbell and arrange a tour. 86. At hearing, Ms. Camacho confirmed that Father met with Mr. Campbell, Father had a positive visit, and that the program was full. Specifically, Mr. Campbell had informed Ms. Camacho that although he would accept Student, Mr. Campbell was not able to provide a start date at the time until a student who completed the Beach Cities program returned to the community. Ms. Camacho described Beach Cities as an NPS with small classes, and students similar to Student. Although Student would only be at Beach Cities until March 16, 2012, she opined that the program would benefit Student. 87. On February 28, 2012, District wrote a detailed response to Parents’ February 5, 2012 letter regarding the January 13, 2012 IEP. District stated that its letter constituted prior written notice of its disagreement and refusal to fund and/or reimburse Parents for any privately obtained placement or services. District asserted that it continued to stand ready and willing to implement Student’s IEP if he was enrolled at Opportunities for Learning or Beach Cities. If Student was not enrolled, District offered to provide Student with speech and language and counseling services at the Southwest SELPA office. District failed to offer Student a flexible schedule for service that would work with his school day. District asserted that the only times available were Mondays from 9:30 a.m. to 10:00 a.m. for speech and counseling on Mondays and Thursdays from 3:00 p.m. to 3:30 p.m.
88. Ms. Camacho explained that Student’s situation was unusual. He was assessed at the SELPA office because he was not allowed on campus and he was found eligible for special education services after his expulsion. She opined that Student was not entitled to special education services, academic instruction, speech and language and counseling, during his expulsion. However, on February 28, 2012, District offered to deliver those services to Student at the SELPA office, but Parents did not make Student available. 89. Student attended Westview School from January 3, 2010 through April 2012, for a total of 68 days. Westview is an NPS offering an appropriate program to student’s with ADHD. Parents testified that Student made progress at Westview. For the semester ending February 2, 2012, Student earned: a “B” in Social Studies, a “B” in English, a “B” in Science, and a “B” in PE, an “A” in Art and an “Incomplete” in Math. Student’s “Incomplete” in Math was due to his failure to complete a test. Student’s good grades reflected the progress he made while attending Westview. 90. Parents paid Westview by check a total of $14,565.60 for Student’s placement and transportation to Westview as follows: 1) 68 days tuition at $183.33 for a total of $12,466.44; and 2) 64 days transportation at $33.32 for a total of $2099.16. Student attended Westview as follows: 20 days in January; 18 days in February; 21 days in March; and 9 days in April. Westview provided Student transportation as follows: 20 days in January; 18 days in February; 21 days in March; and 4 days in April. 91. District advised parents of its child find policy in an Annual Notification of Parent or Guardian’ Rights and Responsibilities (Annual Notification), which it sent to students’ families at the beginning of each academic year. Superintendent Escalante methodically described District’s procedure. Specifically, in 2010-2011 and again in 2011-2012 Parents were sent the Annual Notification, that included information about: 1) Child Find, District’s duty to establish written policies and procedure to find students with disabilities; and 2) Section 504 “(29 USC794, 34 C.F.R. 104.32)” a District’s duty to identify and evaluate students with disabilities and provide them with services. Ms. Camacho convincingly testified that District staff and teachers were trained in identifying students who may need special education services. Both Ms. Taylor and Ms. Camacho testified that the District employed numerous general education interventions, prior to assessing a student for special education services. 92. At hearing Ms. Camacho explained the procedure for enrolling Student into District. Student’s Redondo District records were sent to District. Student’s records failed to include information that Student had been in special education. If Parents had checked a box indicating that Student was in a special education program or that he had been assessed for special education she would have requested Redondo District to send his IEPs and psychoeducational assessment, asked Parents for copies, and passed these records to a case manager to handle the IEP. She explained that Parents failed to alert District to Student’s special education needs and Redondo District failed to send District Student’s special education file. If District reviewed all of Student’s records for the 2010-2011 school year and interviewed his teachers, Ms. Camacho opined District would not have any reason to assess Student for special education services. Similarly, Ms. Camacho opined that the air gun incident alone also would not generally have triggered a District referral to assess Student for special education. 2. In Issue One, Student contends that District failed to meet its child find obligation, beginning in September 2010 through November 3, 2011, because it had reason to suspect Student had a disability due to his failing grades, previously diagnosed ADHD, lack of motivation, and behavior. Student further contends that District had notice of Student’s diagnosis of ADHD when Parents informed teachers in November 2010 and Dr. Flynn in March 2011 which, in conjunction with Student’s behavioral, social, and academic difficulties, placed District on notice that it should assess Student for special education services. Moreover, Student contends that by September 2011 in his seventh grade year (2011-2012), Student continued to display disruptive and aggressive behavior, as well as continued academic difficulties and in September, Student’s teachers and academic counselor observed Student to be withdrawn, angry and depressed. According to Student, these behaviors should have alerted District to assess Student and find him eligible for special education services prior to November 3, 2011. In Issue Two, Student contends District deprived him of a FAPE because it failed to provide him with an appropriate placement and services, from September 2010 through January 12, 2012. In Issue Three, Student contends that District failed to offer and provide Student with a FAPE beginning January 13, 2012, the date of the first IEP team meeting in District, by: 1) not providing for meaningful parent participation in the decision making process; 2) not inviting and including anyone from Westview School; 3) not addressing how Student’s services, accommodations and goals would be implemented during Student’s expulsion; and, 4) not offering an appropriate placement. Student seeks reimbursement for expenses related to his placement at Westview. 3. District contends that it met its general and specific child find obligations. Specifically, District argues Parent was well aware of their special education rights because from June 2007 through June 2010, Student was eligible for special education as a Student with OHI and each year Parents participated in Student’s IEPs and they received a copy of the Procedural Rights and Safeguards. In addition, District provided regular notice to Parents of their special education assessment rights. Although Parents had many opportunities to inform District that Student had been diagnosed with ADHD and was previously eligible for special education, Parents failed to disclose that information in Student’s enrollment papers and at meetings with District staff. When Student required general education intervention in academics, District provided academic counseling. Student never exhibited any inappropriate behaviors or depression at school; and Parents failed to provide any information which would have caused District to refer Student for assessment. District contends that Ms. Vellutini-Stern assessed Student, prepared a psychoeducational report dated January 8, 2012, and on January 13, 2012 an IEP team determined Student was eligible for special education as a pupil with OHI. Finally, District contends that it offered Student a FAPE in the January 13, 2012 IEP. District contends it appropriately did not implement the offer because Student was expelled until March 2012 and District offered to provide Student with language and speech and counseling services at the SELPA. Accordingly, District contends Student is not entitled to the requested remedies. 5 All subsequent references to the Code of Federal Regulations are to the 2006 edition. 13. Legal Conclusions 4 through 12 are incorporated by reference. 14. Student has failed to demonstrate by a preponderance of the evidence that he was denied a FAPE because District did not meet its child find obligations and find him eligible for special education services. Redondo District found Student eligible for special education services and he received services from June 15, 2007 and until June 10, 2010, when he was exited. Parents were knowledgeable about the identification of students with special needs. For three years Student was qualified for special education as a Student with OHI due to his ADHD, and during that period of time, Parents attended at least three IEP team meetings and at each IEP meeting received a copy of the Procedural Safeguards. Student’s academic performance and behaviors did not trigger District’s child find duty specifically as to Student. Finally, the first time Parents informed District that Student had an ADHD diagnosis was in October 2011, when he was suspended and ultimately expelled from the District. 15. District actively sought and was able to identify students with special needs. Each year District advised parents of its child find policy contained in its Annual Notification of Parent or Guardian’ Rights and Responsibilities (Annual Notification), which it sent to students’ families at the beginning of each academic year. Student was given a copy of the Annual Notification when he enrolled in September 2010 and again in the beginning of the 2011-2012 Parents were sent the Annual Notification. 16. Student asserts that during the 2010-2011 school year through November 3, 2011, District should have identified and assessed him because of his poor grades, his low motivation, inappropriate behaviors, prior diagnoses of ADHD, and depression appearing in the fall of 2011. However, Student failed to show that District’s child find obligations were triggered by Student’s grades and behavior. 17. Student asserts that because during Student’s first trimester at Hermosa Valley, he struggled academically and was failing Language Arts, Computers and Science, District should have reason to suspect that Student had a disability that required special education services. However, grades alone do not necessarily establish that District failed in its child find obligation. Beginning in October 2010, District attempted to use regular education interventions by providing weekly academic counseling from school counselor Christy Cole and by November of 2010, recommending that Student participate in Success Seekers, a program to improve his organization and study skills. Student’s teachers, including Ms. Cole, convincingly testified Student’s poor grades were due to his lack of motivation and because he was disinterested in school, and failed to prepare for class and turn in his homework. The personal attention appeared to have worked. Second trimester Student’s grades and attitude regarding his school work improved. Mr. Coleman persuasively testified that Student had progressed academically in the 2010-2011 school year, with some tutoring, and had not demonstrated pervasive behaviors that would have triggered District to refer Student for assessment. The evidence showed that District properly and promptly utilized general education interventions. Instead of demonstrating a child find violation, District’s conduct was a measured and appropriate response to the performance of a new student, whom, as discussed below, District had no reason to believe had recently been in special education. 18. Student argues that it was not only Student’s academics that triggered District’s child find obligation, it was also his behavioral and social skills problems. The evidence does not support Student’s contentions. During his first trimester at Hermosa Valley, four of Student’s teachers reported that he needed to improve his behavior and follow directions. However, his behavior improved and by third trimester instead of earning an “N” in four subjects he earned an “N” in two. Student’s disciplinary record consisted of only one imposition of discipline on March 31, 2011, a one day suspension, which is not unusual. After reviewing Student’s disciplinary record, Mr. Coleman, Ms. Taylor and Ms. Camacho provided persuasive testimony that Student’s behavior was not sufficient to warrant an evaluation for special education services in sixth grade. 19. Student argues that District was informed of Student’s diagnosis of OHI rendered while he attended Redondo District, which, in conjunction with Student’s current behavioral, social, and academic difficulties, placed District on notice that Student required special education services under the eligibility category of OHI. However, the evidence does not support Student’s assertion. District had no knowledge until October 2011 that Student had been diagnosed with ADHD, assessed for special education services, found eligible as a student with OHI in a prior district, and had an IEP from June 15, 2007 until June 10, 2010, when he was exited. Parents provided credible testimony that they were relieved and happy that Student no longer required special education services. When Father enrolled Student in District in September 2010, although asked he failed to answer questions about special education and failed to inform District that Student had been eligible as a student with OHI and had IEPs for the 2007-2008, 2008-2009, and 2009-2010 school years. The evidence showed that after Student was exited from special education, Parents were reluctant to admit he was a special education student. 20. Student asserts that Parents informed his teachers at a November 2010 meeting and Dr. Flynn at a March 31, 2011 meeting that Student was diagnosed with ADHD. However, District presented more persuasive evidence to show that District was not informed that Student had a diagnosis of ADHD until October of 2011. Mr. Coleman and Ms. Taylor provided persuasive testimony that Parents failed to discuss Student’s ADHD in November 2010. In addition, Dr. Flynn provided persuasive testimony that if Mother informed her that Student had ADHD, it was her practice to ask for a doctor’s letter to verify the diagnosis. 21. In October 2011, when Parents informed District that Student had ADHD and requested a District assessment for special education services, District promptly prepared an assessment plan, assessed Student and scheduled an IEP meeting for January 13, 2012. Prior to that time, District had no reason to suspect that Student had a disability requiring special education services. Ms. Vellutini-Stern issued her report on January 8, 2012, indicating that Student did, in fact, qualify for special education services, District promptly held an IEP team meeting, and declared Student eligible under the category of OHI. 22. The fact, therefore, that Ms. Vellutini-Stern found Student eligible in January 2012 after Redondo District exited Student from special education is irrelevant, as Ms. Vellutini-Stern’s report developed data that was not available to the IEP team in June 2010, and was based on conduct and school performance from the fall of 2011. The Redondo District conducted Student’s triennial in June 2010 and exited Student from special education. 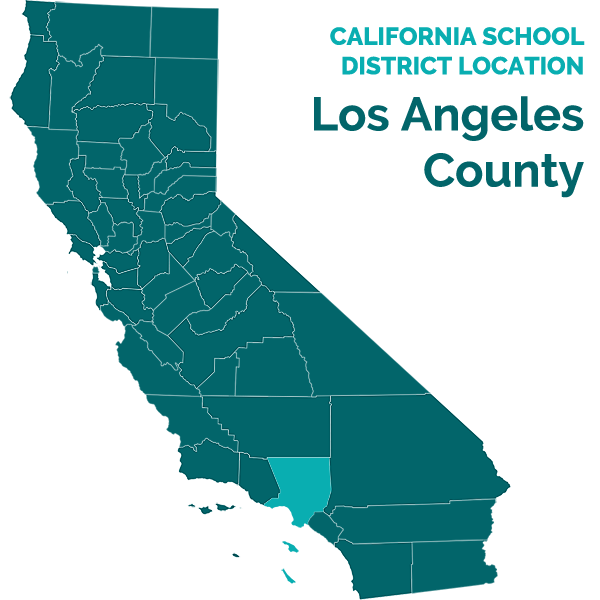 Student did not demonstrate at hearing that the assessments conducted by the Redondo District were conducted improperly, or that the decision to exit him from special education while in their program had been improper. 24. Legal Conclusions 4 through 12 are incorporated by reference. 25. Student contends that because District failed in its child find duty, it failed to assess Student, hold an IEP and find him eligible for special education services. Specifically, Student contends because of District’s failures Student was not offered and provided the placement and services required to meet his unique needs. District contends that it did not fail in its child find duty, and even it had assessed Student, he would not have been eligible. District asserts that Student was exited from special education in June 2010 and Parents consented. As discussed below, Student has failed to meet his burden of demonstrating by a preponderance of the evidence that District denied Student a FAPE from September 2010 through January 12, 2012. 26. As established in Factual Findings 1-67 and Legal Conclusions 4-25, Student failed to prove by a preponderance of the evidence that District failed in its child find obligation. District had no reason to suspect Student had a disability requiring special education services until October of 2011, at which time District immediately offered Parents an assessment plan at their request and began the assessment process. Because in Issue 1, Student failed to show that District’s duty to assess Student had been triggered under its child find obligation, this Decision need not analyze whether and what type of placement and services Student should have been offered by District. Phrased another way, because Student has failed to show a procedural violation of IDEA, this Decision need not determine whether District’s conduct resulted in deprivation of educational benefits or interfered with Student’s right to a FAPE from September 2010 through January 12, 2012. Student did not meet his burden of proof on Issue 2. 27. Legal Conclusions 4 through12 are incorporated by reference. 29. District disagrees and contends it committed no procedural violations in connection with the January 13, 2012 IEP. 38. As to Issue 3(b), Student failed to demonstrate by a preponderance of the evidence that Student was denied a FAPE because District did not invite anyone from Westview to the January 13, 2012 IEP meeting. The evidence showed that Mr. Coleman, a general education teacher, and Ms. Taylor a special education teacher participated in Student’s January 13, 2012 IEP. The evidence further showed that Mr. Coleman was Student’s social studies teacher in the sixth and seventh grade, and he had particular knowledge about Student and his educational needs. As long as District had a regular education teacher at the IEP, the procedural requirements of the IDEA were satisfied. There is no statutory or regulatory mandate that would have required District to invite representatives from Parent’s preferred unilateral placement. 40. Legal Conclusions 4 through 12 and 30 through 36 are incorporated by reference. 41. Student contends that District committed substantive violations that resulted in a denial of FAPE at the January 13, 2012 IEP team meeting, at which Student was found eligible for special education services. Specifically, Student contends District denied Student a FAPE by failing to address how Student’s accommodations, goals and services would be implemented during expulsion (Issue 3 (c).) Student also contends that District committed a substantive violation by failing to offer him an appropriate placement during his expulsion where the services, accommodations and goals in his IEP could be implemented and monitored. (Issue 3 (d).) Specifically, Student contends that Opportunities for Learning was inappropriate because it was a two hour program, without special education teachers and teacher supervision to monitor his progress on his goals. In addition, Student argues that on February 6, 2012, District offered Student outside the IEP process alternative placements: Opportunities for Learning and Beach Cities. Student argues that Beach Cities might have provided an appropriate placement but there was no space for Student. 42. District disagrees, and contends that it provided Student with a FAPE at all relevant times. 43. As to Issue 3(c), Student demonstrated by a preponderance of the evidence that District deprived Student of a FAPE at the January 13, 2012 IEP team meeting when it failed to address how Student’s accommodations, goals and services would be implemented during Student’s expulsion. Although the IEP team was prepared to offer Student special education services, RSP, language and speech, and counseling and proposed goals and accommodations for the time after expulsion, the IEP did not resolve Student’s placement during expulsion, or how services, accommodations and modifications that were required for a FAPE would be implement during the expulsion period. 44. As discussed above in Legal Conclusion 36, District must provide a special education student who has been expelled an appropriate placement, accommodations, goals services and placement to address his needs. In other words, IDEA unambiguously required that Student be provided a FAPE, even if he had been expelled. The IEP program must be available to Student during the term of his expulsion so that he was be able to work on his goals, and make academic progress. Through the unrefutted testimony of Parents and Ms. Camacho there was no discussion at the IEP team meeting about how to implement District’s proposed special education program during Student’s expulsion. 45. At the January 13, 2012 IEP meeting, Student was found eligible as a Student with OHI. The evidence showed that the team identified Student’s areas of need as pragmatic language, behavior, academics, work completion, time management and class preparation, based on Ms. Vellutini-Stern’s finding that Student had deficits in these areas. In order to remediate Student’s academic deficits, District offered specialized academic instruction in time management, work completion, and class preparation to help Student to earn passing grades his classes. District offered 264-minutes per week of academic instruction at the District’s Learning Center; 30-minutes per week of group language and speech at County Office of Education; and 30-minutes twice a week of individual counseling. Student consented to the services and their time and frequency. However, the evidence showed that the IEP team did not address how any of the above could or would be provided during the period before Student was allowed back on a general education campus. It follows that if Student needed the type of support such as RSP, speech therapy, and counseling to receive a FAPE if he returned to school following his expulsion period, he would need similar supports to access his education while expelled. 46. Because District failed to discuss the implementation of Student’s program, Student’s readmission to the District under the terms of his expulsion was also jeopardized. District’s December 16, 2012 Expulsion Decision included a five step rehabilitation plan that Student must complete prior to his readmission to the District. Student was required to improve his academic performance, maintain a grade point average of 2.5 in all course work and attend the alternative educational placement. If District failed to offer a program to meet Student’s unique needs during the expulsion period, it would be difficult for Student to make academic progress, complete his rehabilitation plan and return. The evidence showed that as offered in the January 13, 2012 IEP, Student required additional academic instruction and services to make progress and to improve his academic performance. Under these circumstances, District was required to devise a program for Student that would allow him to access his education. 47. In its defense, District argues this was a novel situation. Student was expelled before he was qualified for special education, and as an expelled Student he was not entitled to any placement other than a community day school, such as Opportunities for Learning. Ms. Camacho admitted this was an unusual situation. Student was assessed at the SELPA office because he was not allowed on campus. She opined that Student was not entitled to special education services, academic instruction, speech and language and counseling, during his expulsion. However, as District now acknowledges in its closing brief, although Student was expelled, it had a duty to provide him with a FAPE. Although Student was expelled from the District until March 16, 2012, when the IEP team found Student eligible for special education services on January 13, 2012, District, was required to provide placement and special education services designed to remediate Student’s academic deficits to allow him to receive a meaningful educational benefit. District failed to offer Student any placement at the IEP meeting, and its efforts afterwards that consisted of sending letters to Student offering piecemeal services or placements that had no availability, did not satisfy District’s duty to offer a FAPE. 49. As to Issue 3(d), Student demonstrated by a preponderance of the evidence that District deprived Student of a FAPE at the January 13, 2012 IEP team meeting when it failed to offer Student an appropriate placement during Student’s expulsion. Although there was a discussion at the IEP team meeting about Westview and Opportunities for Learning, District failed to ultimately offer any placement during expulsion, and instead put in the notes that it wanted until January 24, 2012, to come up with a response. District’s response came February 6, 2012, in District’s letter outside the IEP team meeting process wherein District offered Student a choice of placements, either Opportunities for Learning or Beach Cities. As discussed in detail below, the evidence showed that given Student’s unique needs, Opportunities for Learning was not an appropriate placement and that Beach Cities was not even available. Thus, even outside the IEP process, District did not offer Student an appropriate placement. 50. District asserts that its initial offer of placement at Opportunities for Learning was appropriate. However, the evidence showed that if Student attended Opportunities for Learning, it would be impossible to implement his goals and accommodations. Parents’ persuasive testimony that this placement was inappropriate for Student was corroborated by Ms. Camacho. Without a structured classroom and a school week more than two hours, implementing Student’s IEP was not possible. In addition, without a counselor, speech therapist, special education and general education teacher at Opportunities for Learning, monitoring Student’s behavior goals was not possible. District failed to provide any credible evidence that Opportunities for Learning was an appropriate placement for Student. 51. Student contends that although Beach Cities might have been appropriate, it was not available. Father provided credible testimony that on or about February 17, 2012 he visited Beach Cities and met the owner Dan Campbell (Mr. Campbell). Father toured the program and thought it appeared to be appropriate. At the end of the tour, Mr. Campbell told father that there was no space at Beach Cities for Student. Father called Dr. Rasmussen to inform him that there was no space at the program. District argues that Father’s testimony about Beach Cities’ unavailability was not corroborated. However, Father’s testimony was persuasive. If Father were not interested in Beach Cities he would not have visited the program. Ms. Camacho corroborated Father’s testimony that Father met with Mr. Campbell, and Father had a positive visit. Her testimony supported Father’s perception that Beach Cities was not available. According to the uncontroverted testimony of Ms. Camacho, although Beach Cities would accept Student, Mr. Campbell was not able to provide a start date until a student who completed the Beach Cities program returned to the community. Thus, Beach Cities cannot be considered to have been an offer of a FAPE when even by District’s account, there was no certainty when, if ever, Student could attend. 53. As discussed above, Student demonstrated by a preponderance of the evidence that District denied him a FAPE by failing to offer an appropriate placement and address how his accommodations and goals would be implemented during his expulsion (Issues 3(c) and 3(d)). This section addresses Student’s remedy. 57. As discussed above District failed to offer Student a FAPE and provide him with a FAPE from January 13, 2012 through April 2012 when he returned to District. Parents did everything required of them, including providing notice of their intent to place Student at Westview. They visited the inappropriate Opportunities for Learning placement and even visited District’s unavailable alternative, Beach Cities, which was offered weeks after Student had been found eligible. However, District did not offer a FAPE during expulsion. Because there was no appropriate offer of FAPE from the District, Parents had no choice but to place Student in a private school that would meet his needs. Although Parents had placed Student in Westview before he was found eligible, this fact should not deny Parents reimbursement for Westview beginning at the time Student was found eligible. The evidence established that Westview was designed for children with unique needs like Student’s and that Student made academic progress there. Student is not entitled to reimbursement for the period before January 13, 2012, because, as discussed in Issues 1 and 2, District did not violate its child find duty prior to finding Student eligible on January 13, 2012. Within 60 days of the date of this Decision, the District will reimburse Parents in the amount of $12, 832.40. Pursuant to California Education Code section 56507, subdivision (d), the hearing decision must indicate the extent to which each party has prevailed on each issue heard and decided. Here, District prevailed on Issue 1, Issue 2, and Issue 3(a) and 3(b). Student prevailed on Issues 3(c) and 3(d).